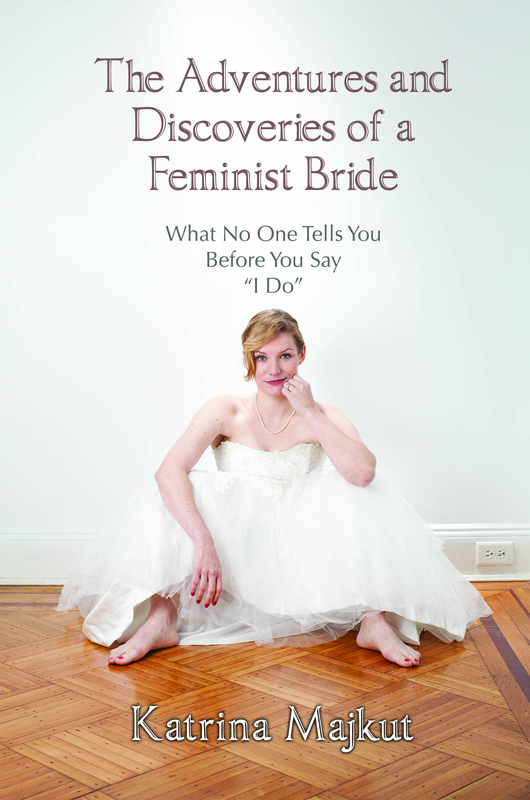 Follow The Feminist Bride on Twitter, Instagram, @FeministBride, Facebook, Etsy and Pinterest. 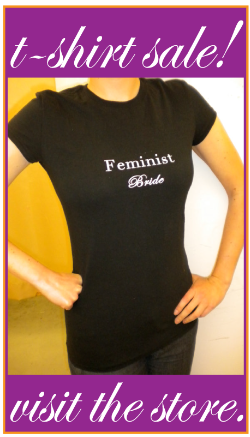 Website: TheFeministBride.com is the only wedding source that’s not trying to sell you a white wedding dress. It is not just another wedding how-to source instructing the bride on what to do, buy and how to act, insisting on traditions without providing context. It tackles the more substantive questions prospective brides, feminists, and those interested in modernizing marriage actually care about: Is living in sin really so bad? Why don’t men wear engagement rings? Is it acceptable for bachelorettes to hit up the strip clubs too? Why can’t the groom change his last name instead? And if no one is a virgin anymore, how come brides are all still wearing white? The Feminist Bride aims to inspire a new generation of newlyweds to confidently buck or modernize tradition and walk down the aisle as equals.